Opened in 1995, the Saint Martin Mausoleum contains over seven thousand niches and funerary recesses. 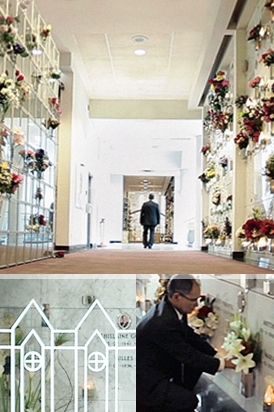 A team of funeral counsellors is present every day to help you with complete funeral planning. We can also visit you at home during the week and on weekends, both days and evenings. For more information and to make an appointment, you can contact us at info@mausoleesaintmartin.ca or by phone at 450 667-8404.